Expat Kids spoke to Marcia de Wolf from St John’s International School about raising awareness of sustainable living in schools. How important is it that children understand the importance of sustainability at a young age? It is essential that children understand at an early age and get into the habit of living their life in a sustainable way. The longer you wait, the more difficult it becomes to change established habits. The earlier they make the connection, the more aware they will be as they grow up. What do you think are the most effective ways of teaching this? It is best to teach it in a practical way in order to relate it to their daily lives and their future. Theory is not going to impact them nearly as much as real life examples. Naturally, some theory has to be taught to explain why it matters but making the connection between theory and real life is essential for it to resonate with a child. Which countries do you feel are most successful at educating their young people about sustainable energy? I am not sure certain countries are more successful than others in teaching this, but the Scandinavian education system certainly has an advantage, in that the students are outside most of the day and are confronted with environment and sustainability much more naturally than students in most other countries. What does St John’s International School currently do to promote awareness of environmental issues and the need for sustainable energy? Sustainability is one of the focus areas of our 5-year strategic plan and we work with staff, students and parents to achieve our goals. In addition, we run a sustainability course in our High School. Our youngest students (3-4 years of age) are responsible for the care of chickens, they must feed them and collect the eggs. They also have a garden where they grow and harvest vegetables, which is turned into lunch with the help of the grade 6 cooking students. In our middle school, students help with the recycling of paper. 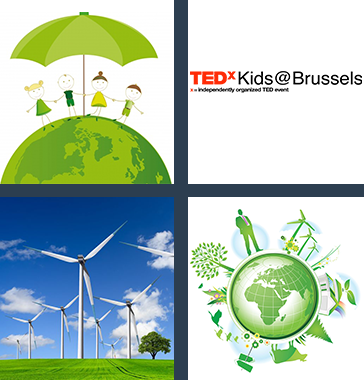 Furthermore, we were one of the first schools in Belgium to have green energy. Across the school, we try to find practical ways to teach our students what it means to be aware of the environment and sustainability in general so they can see the effects of changing certain habits into more effective ones that will help make the earth a better place for their own future. With the TEDx student workshops on March 28 students will have the opportunity to participate in activities that will be both exciting and educational. For more information, visit their website. A common definition of sustainable living is “the use of resources to meet current needs without compromising those of future generations”.